Introducing our Christmas ad from South East Radio! Our ad launches next week so be sure to tune into 95.2 – 96.4FM. Don’t forget we have Gift vouchers and fabulous Gift sets available for your loved ones (or yourself). 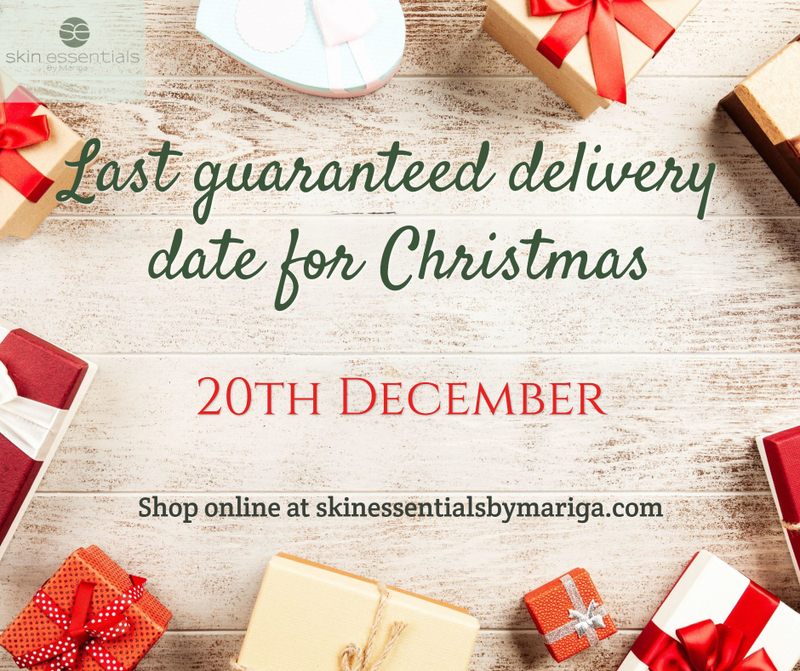 Our last guaranteed delivery date in time for Christmas is 20th December, and our couriers last collection date will be 19th December. We will continue posting orders until Sat, 22nd December. For last minute gift buying you’ll be happy to know we are open Sun, 23rd and Mon, 24th December. Shop online and in our Wexford clinic. This entry was posted in Christmas Gifts and tagged Christmas Season, Gift ideas, gifts on 15/12/2018 by mariga.